Put recycling plan into action! 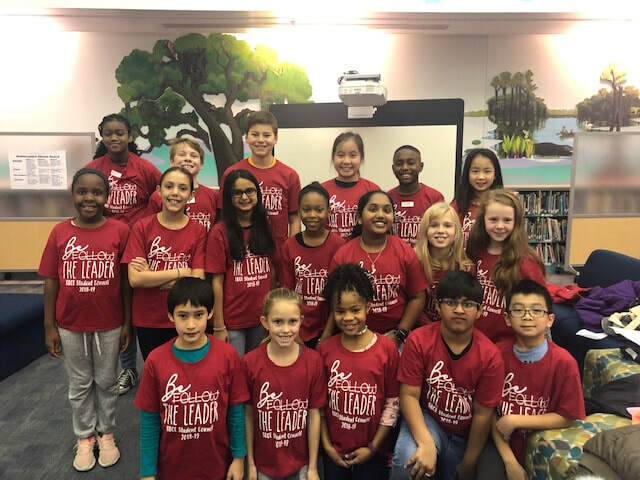 Safety Patrol starts right after Winter Break! Council members with an assigned post should follow the below directions. For now, the recycling that doesn’t fit into the 2 bags going home can either be thrown away, or sent home with another child at the teacher’s direction. Student council will reevaluate after several months to see if we need to increase the number of bags going home. Officer Elections: Running for office is completely optional. If interested in running, students must return the bottom of the attachment as a permission slip, prepare 2 posters and a speech. 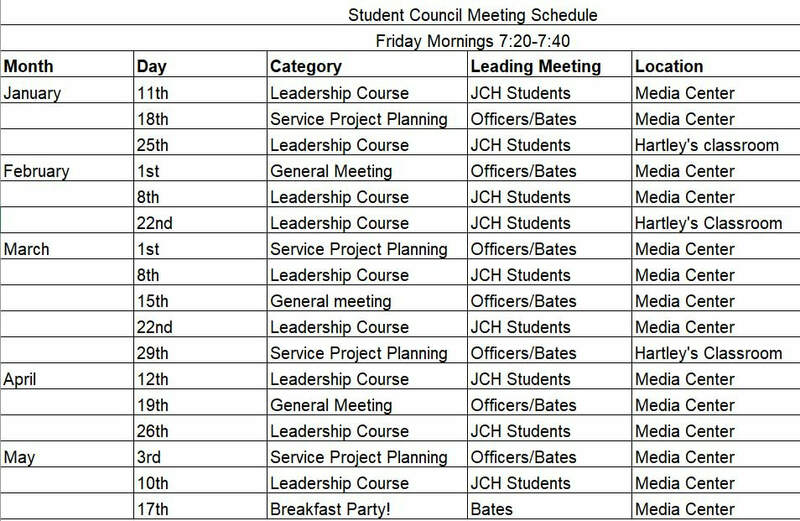 Due dates and requirements are listed on the attachment. School Safety Patrol: All council members should participate in this initiative as able. This permission form should be returned with days listed at the bottom that a student cannot be at school for patrol at 7:20. The calendar will be distributed at our next meeting to begin after winter break. 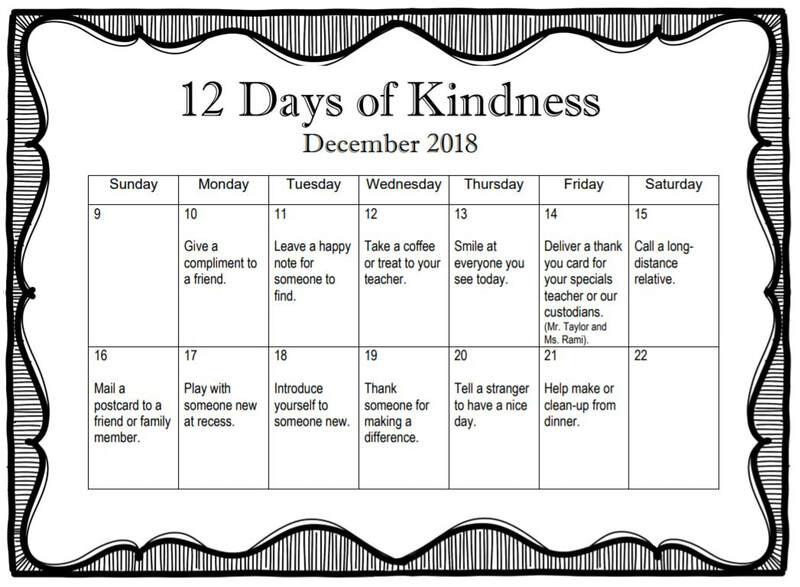 December Service Project: We created a “12 Days of Kindness” Calendar and will promote it together as a group starting Monday.